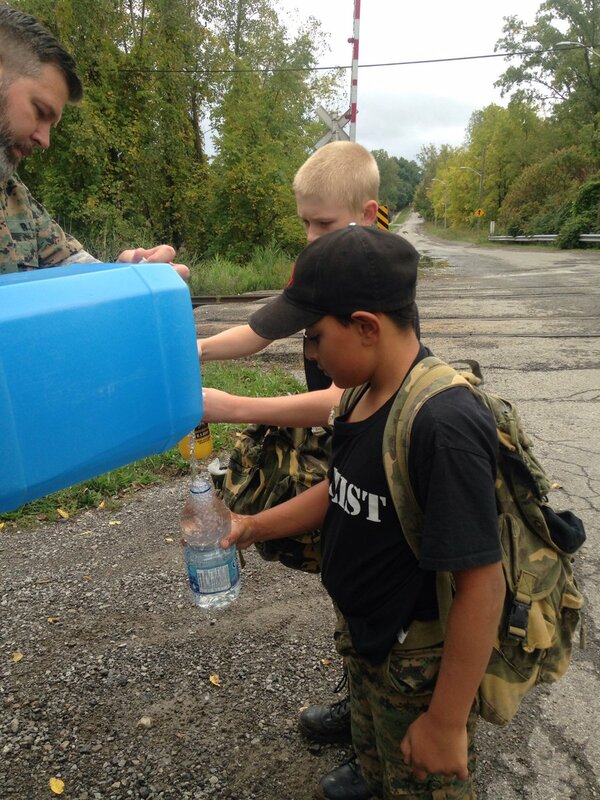 Mission: Robert Land Academy is a not-for-profit, private military school for boys in both the upper elementary (grades 5-8) and high school (grades 9-12) levels. RLA delivers a highly structured program designed to nurture self-discipline, self-respect, and self-determination for boys who are struggling academically and behaviourally, or not living up to their true potential. S ome students thrive in environments where they have lots of latitude to be independent and self-motivating. Others thrive in the opposite: an environment that is it structured and ordered, with very clear limits and recognizable boundaries. Robert Land Academy is for students who need structure; for those who thrive in a structured environment; for boys who enjoy routine; and for boys who want a strong academic program to prepare them for university. The academic programme offered at Robert Land Academy is part of a highly structured learning and living environment. Emphasis is placed upon the development of habits conducive to the development of self-care and routine, and the academic skills required for success in post-secondary environments as well as leadership by example and the importance of group cooperation and accountability. Robert Land Academy offers a largely academic only program in preparation for university and college programs. Small class sizes and extensive provision for remediation in numeracy and literacy skills combine with a coaching philosophy of teaching to help each student achieve his personal best. The Academyâ€™s program invariably results in dramatic academic improvements and measurable success. A healthy diet, regular exercise and monitored study halls combine with a rigorous academic program to provide challenge, encouragement and academic self-direction. Course outlines in all subjects are developed in accordance with the Ontario Ministry of Education Curriculum Guidelines. Students who graduate from Robert Land Academy receive an Ontario Secondary School Diploma (OSSD). Robert Land Academyâ€™s Cadet Corps is formally known as #2968 Royal Canadian Army Cadets (RCAC). The Royal Canadian Army Cadets (RCAC) is a national Canadian youth program sponsored by the Canadian Armed Forces and the civilian Army Cadet League of Canada. Cadet lessons and training is overseen by Cadet Instructor Cadre (CIC) Officers who are members of the Canadian Armed Forces. The Cadet Corps conducts training for those students who wish to develop skills in the use of map and compass, GPS technology, orienteering, first-aid, camping and survival skills, canoeing, abseiling, trekking, mountain biking, etc. Army Cadets get involved in ceremonial military events and citizenship activities that allow them to connect to their Canadian heritage. They develop a great sense of pride and discipline through their involvement in a hierarchical system that allows them to hone their leadership skills as they grow older and they learn to care for younger cadets. #2968 RCAC operates as a closed Corps and is open only to Robert Land Academy students under the age of 18 years. 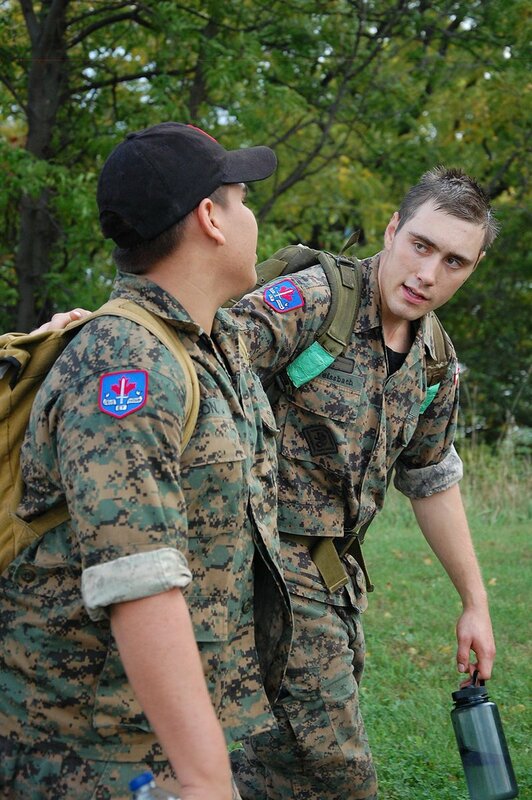 Aside from weekly parades and training, the Corps participates in RCAC activities with other cadet corps. Robert Land Academy was founded in 1978 by LC Scott Bowman to support boys who were struggling both academically and behaviourally, for a variety of reasons. The goal was to address not only academic success and university placement, but also social, behavioural, and ethical development by giving students the tools and supports they need the most. The school is named after Robert Land, a United Empire Loyalist who arrived in Canada following the American Revolutionary War, and ancestor of LC Bowman, whose life embodied the five values the Academy is based upon: Labour, Loyalty, Commitment, Courage and Honour. The Academy has grown and developed over its 40-year history though the foundational values have been consistently applied. The goal was to address not only academic success and university placement, but also social, behavioural, and ethical development by giving students the tools and supports they need the most. The flags at Robert Land Academy are lowered for the final time of the 2017/2018 school year. Congratulations to our grade 8 & 12 graduates. Special thanks to Major General Nava, Adjutant General of the New Mexico National Guard, for serving as our commencement speaker at graduation today. Further photos from the graduation parade and ceremony will be posted next week. Have a safe and enjoyable summer! Robert Land Academy is pleased to announce the appointment of a Cadet to the position of Aide-de-Camp, a senior Cadet leadership position.